"Ocean Personal Checks by David Dunleavy" product is already in your cart. Enjoy the art of David DunLeavy with our Ocean personal checks. These checks feature the art of 4 of David's magical and mysterious marine life paintings. Interested in conserving the resources of our oceans and educating people about the threats to our oceans, David DunLeavy donates a portion of his sales to conservation efforts. He has fused his passion for art with his passion for the sea in a symbiotic relationship, mush like many ocean creatures have a symbiotic relationship with each other. Ocean Personal Checks by David DunLeavy are sure to capture and hold your heart for all time. 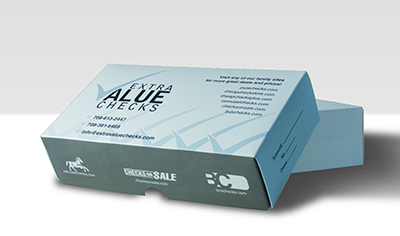 These checks are available in single and duplicate check format. Matching address labels and a coordinating checkbook cover are also available.